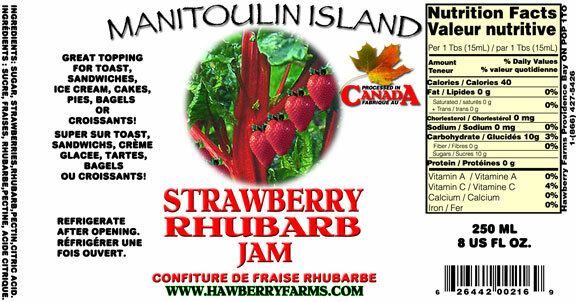 Click the button below to add the Strawberry & Rhubarb Jam to your wish list. Ingredients: sugar, strawberries, rhubarb, pectin, citric acid. Most Hawberry products are fabulous - this one wasn't. Not much flavour and no real discernable fruit in the jam. It seemed more like a spread. Kind of "gloopy".